More and more companies are conscious of the increasing necessity to offer to the Muslim consumer Halal products or services. 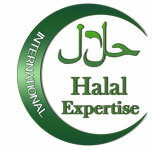 The Halal market is in continuous evolution and has become for numerous enterprises a market rich of opportunities. Halal Expertise can help you to better understand the rules that regulate the Halal and who are, unlike the common idea, simple to set up. The Holy Koran is the book of Islam; it includes the words of God revealed to the prophet and messenger of Islam Mohammed by the archangel Gabriel. This revelation extends over a period of twenty-three years. The term Halal means permitted, lawful, which is authorized by the Islamic law. The term Haram is the opposite of Halal, it means unlawful, prohibited by the Islamic law. Sources of the Islamic law are the Koran, the prophetic tradition (Hadiths) and religious opinions (from experts or recognized Muslim scholars).